April’s Positive Change recipient is Frogtown Farm, a 5.5-acre certified organic urban farm located in the heart of Saint Paul’s Frogtown neighborhood. Founded in 2013 by Frogtown residents after a ten-year grassroots effort to raise funds and build community support, the farm sits on a 12.7-acre parcel of city-owned park land. One of the country’s largest urban farms, Frogtown Farm is an urban agriculture demonstration site for those seeking learning, innovation, reflection, celebration, and authentic community engagement. 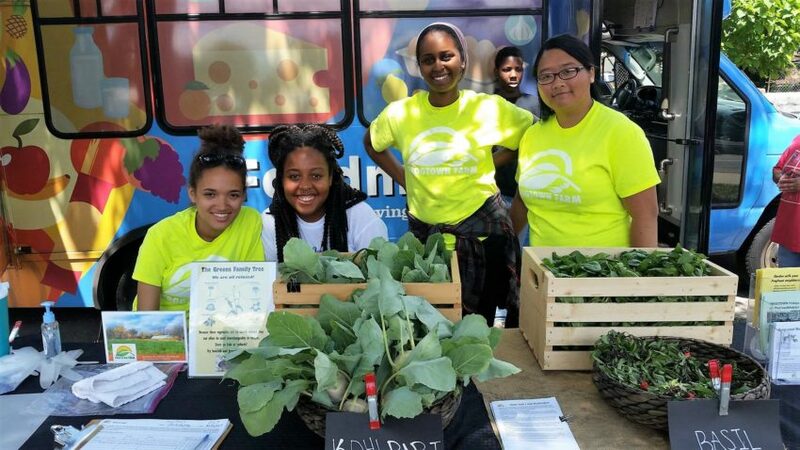 Rooted in values of equity, social justice, and interconnectedness, this urban farm on the hill serves as a model for cultivating multi-cultural community and as a catalyst for economic development, wealth creation, community pride, and sustainability. Donations raised in April will support community building through a new work-share program, inviting Frogtown residents to assist with farm work in exchange for access to fresh produce. A thriving community-run urban farm that produces food for its surrounding community and for sale at Mississippi Market. Healthy eating classes and workshops covering topics including home cooking, gardening, and urban farming. A new weekly on-site market stand where farm visitors can purchase fresh produce grown on the farm. A new work-share program where local residents gain access to produce grown on the farm by volunteering work hours.